When people put their voices together in harmony, it touches something deep inside us. It’s almost impossible to find a culture that doesn’t have a tradition of story telling through song. Singing is truly something worth celebrating! The Velvetones are a sensational newly-formed jazz vocal quartet comprising of Leonie Axford, Stephanie Firth, Claire Patti and Stephanie McCorkelle who are drawn together by a love of early jazz and spine-tingling close harmony singing. 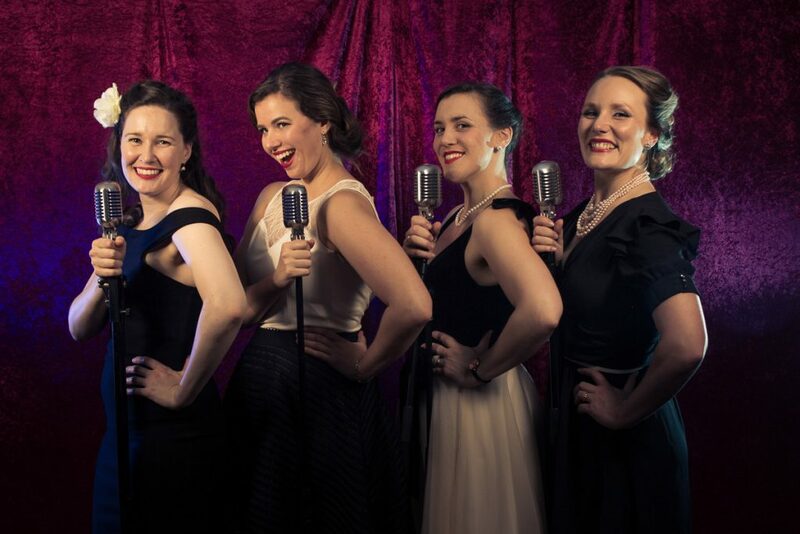 Inspired by the likes of The Andrews Sisters, Manhattan transfer, The Chordettes and The Real Group, these 4 sassy women have the art of vocal harmony, good fun and humour down to a tee.